The Department has six officers that have been trained to ride the Department's two mountain bikes. Officers are assigned to work bike patrols as needed. Some of their assignments are patrolling business and residential areas for criminal activities, special events, and parades. 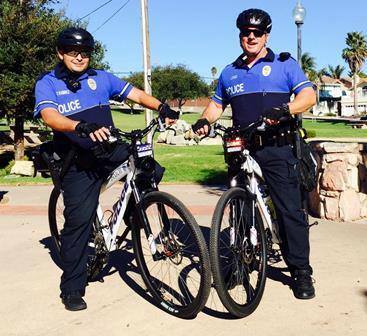 For more information on the Bike Patrol Program, contact Commander Angelo Limon at (805) 473-4506.